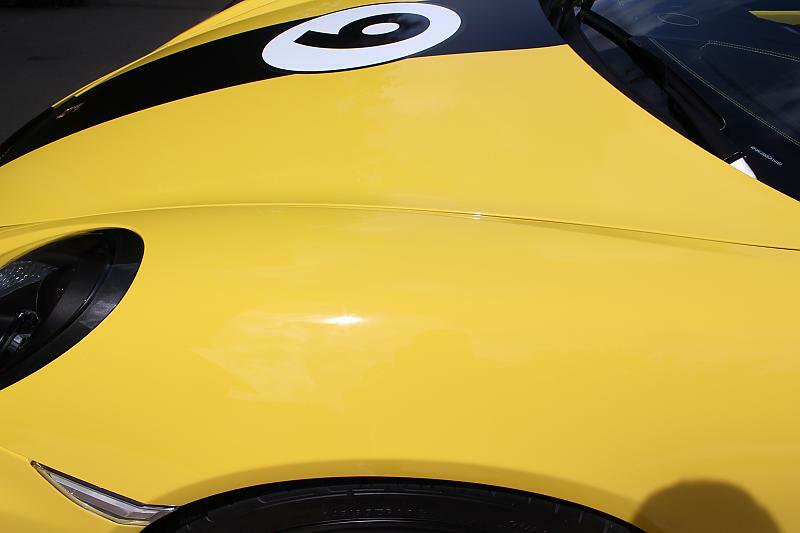 Think of it as a protection layer for your paint protection layer, or in the case of applying over a clear bra, it provides an additional layer of protection. 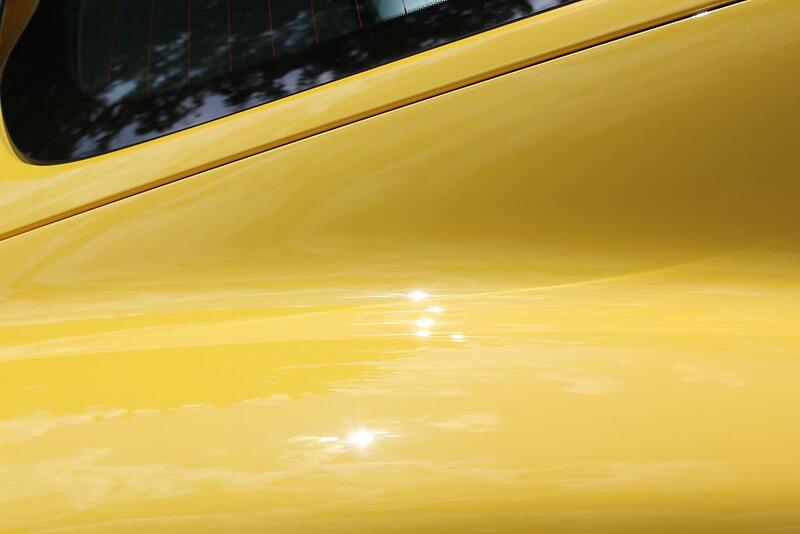 The coating is also supposed to provide a deeper, wetter looking gloss/shine to your car. 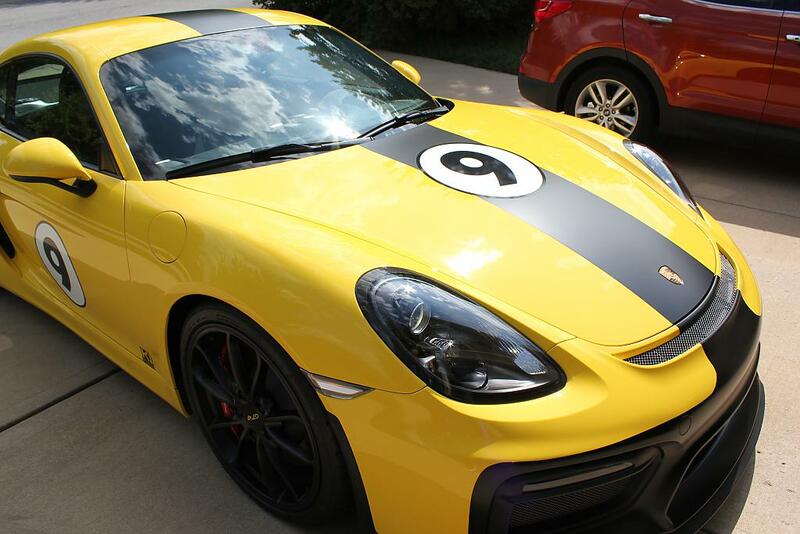 With a yellow car it is very hard for me to judge depth of shine like you could on say a black car. 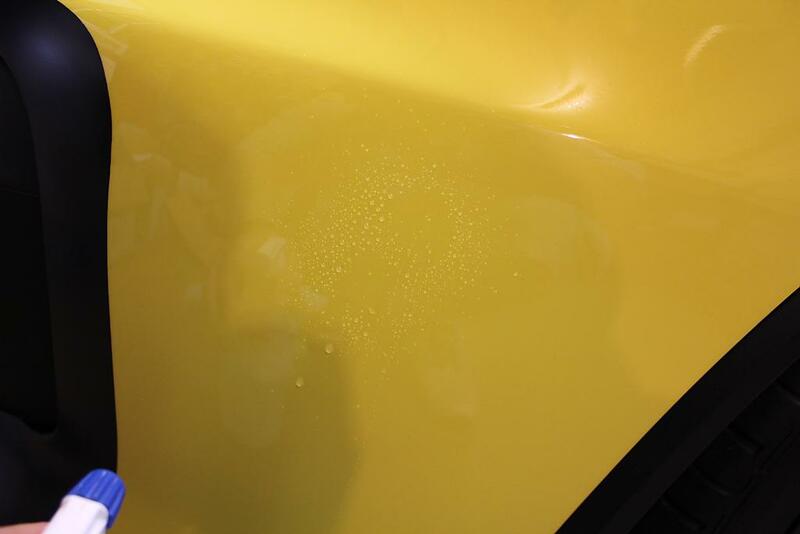 I will certainly say that by the time I was done applying 2 coats to my entire car, it was indeed very shiny, but it’s also a new car so my paint was not in bad shape to start with. 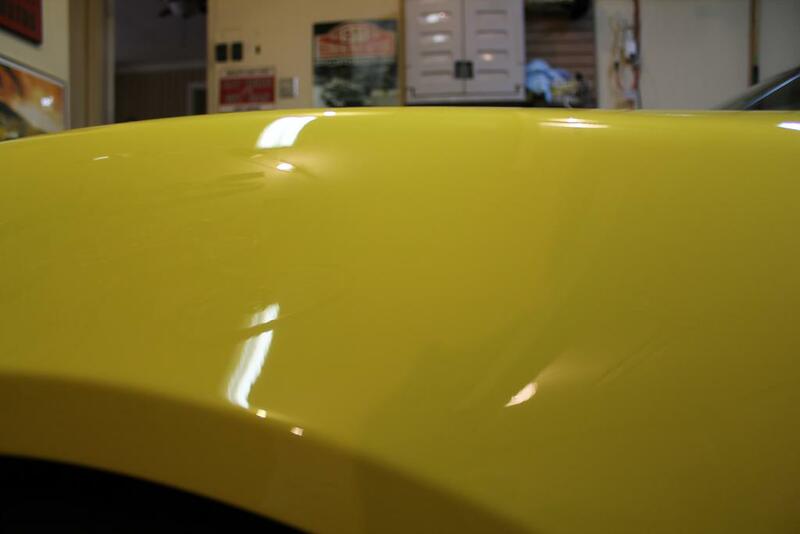 Before I go further in the article I wanted to provide some resources for those considering the application of a quartz coating as well as a link to all the photos I took while applying the coating to my car. I spoke with Rich at Gloss-It and asked him what he recommended for me with regard to any preparation before applying his EVO 5H Quartz coating. His suggestion was to use my orbital buffer with my yellow pad that I had from a prior Gloss-It shipment and matching yellow polish that Rich had included with the 5H application kit that he sent me. 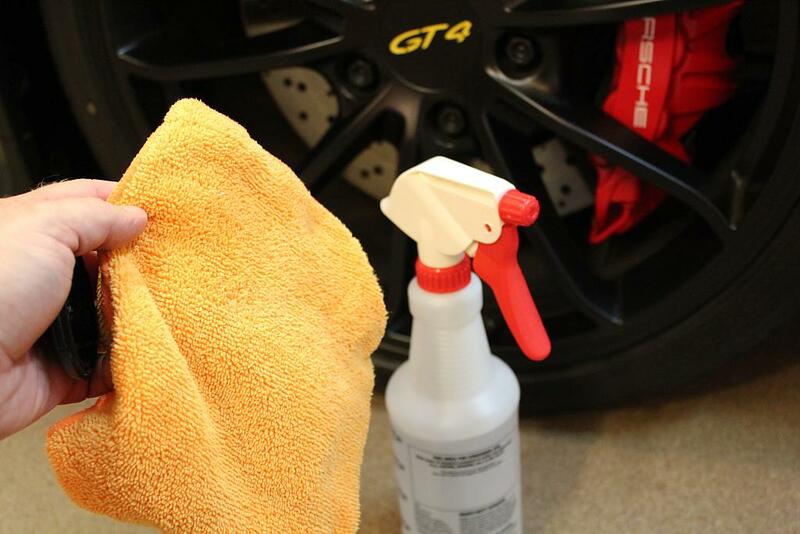 Using this combo to do a once over the entire car would help clean up any imperfections in the paint, remove anything on the paint, and clean up the clear bra protected areas as well. The polishing was a good idea because it allowed me to get rid of a couple of little spots of tar I found, some water marks, etc. 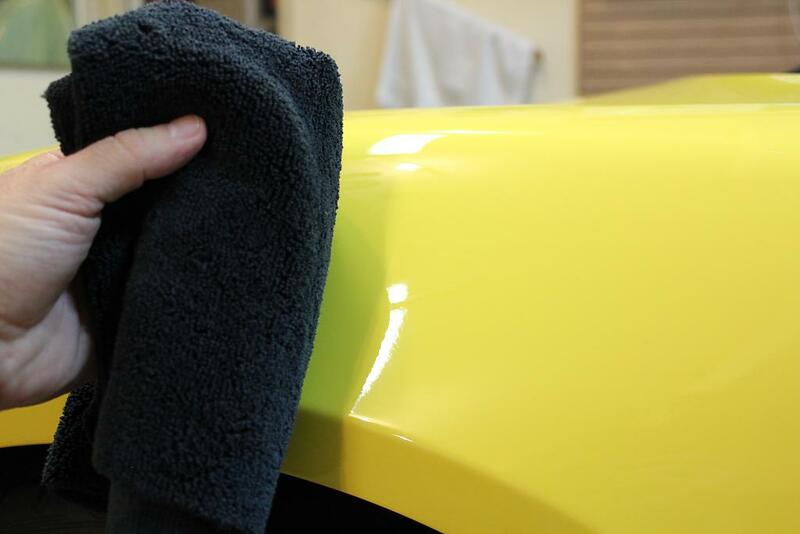 Even though you wipe off the polish with a microfiber towel, the next step was to wipe the car down with a microfiber towel and a solution of 50/50 water and isopropyl alcohol. This removes any polish residue you might have missed, removes any oils, etc. to leave a clean dry surface ready for the quartz coating. 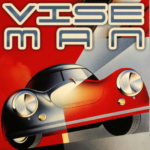 As another side note, yes I know this would have been a LOT easier had I not already had the Racer X vinyl graphics on the car. As a point of note I did not polish the graphics, nor did I apply quartz coating to them, although Rich said that I could (I actually did over the Ki Studios graphic on the door with no detrimental results) After wiping down the entire car it was now time to start applying the Gloss-It EVO 5H Quartz coating. Rich sent me a 30ml bottle of the 5H product, be sure and check the Gloss-It website for detailed information about their 5H, 7H and Pro 9H products, the warranty for each and the cost to have Gloss-It do the application for you. My first thought was that there was no way this little bottle was going to do my entire car, let alone 2 coats, but Rich assured me that this was the case, to watch the install videos (linked above) and give it a try. 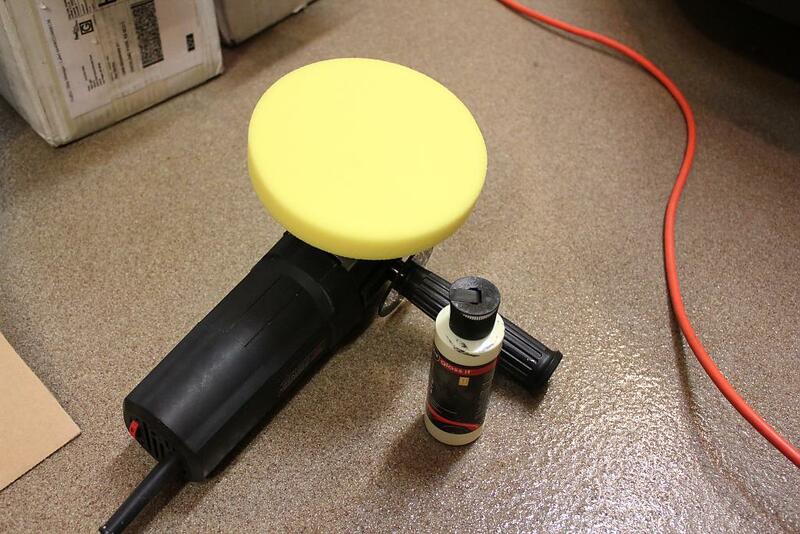 Notice also in the photo is the black applicator sponge and the black suede cloth that you use to do the application. I cannot stress enough to watch Rich’s videos and follow the directions carefully. 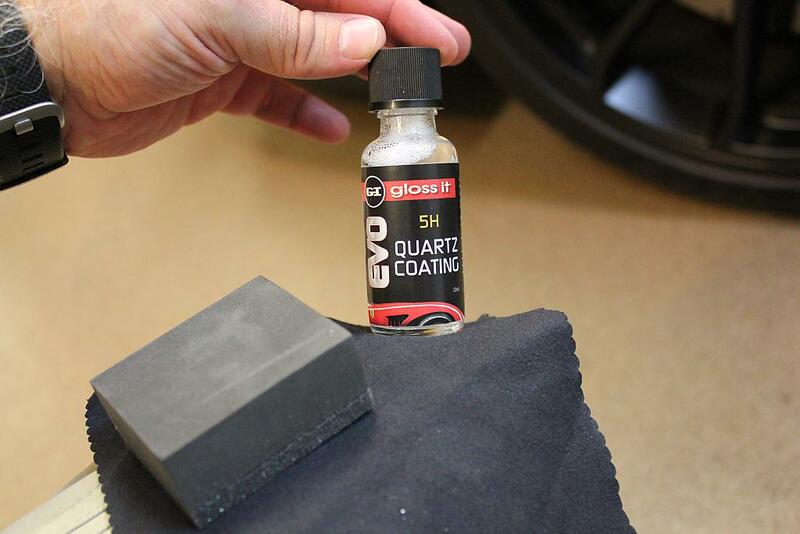 You only need a few dabs of the EVO 5H Quartz coating solution on the black suede cloth. Then you apply in a back and forth motion. DO NOT SWIRL AROUND. Work the cloth back and forth, applying a little more solution if you need to in order to coat the entire panel you are working on. Work on only 1 panel at a time. For example I started with the left front fender. 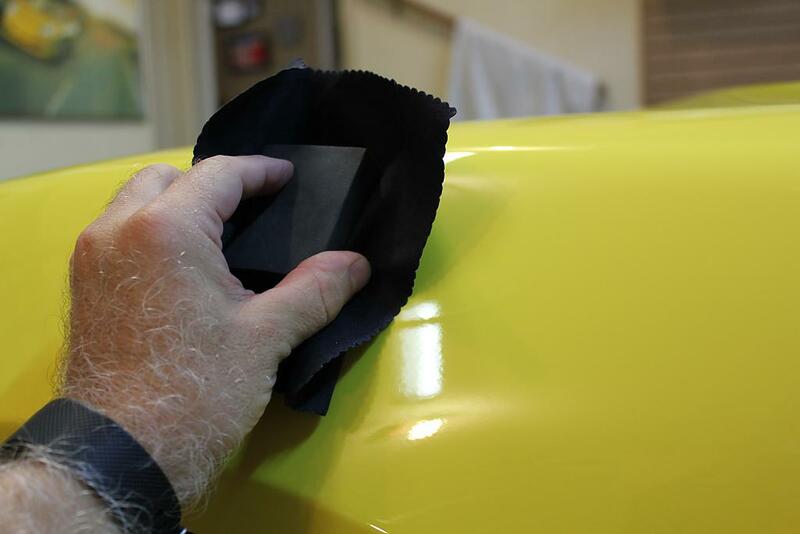 After you have wiped down the panel you only need to wait a couple of minutes until you wipe off any excess and buff out the coating using a microfiber towel. 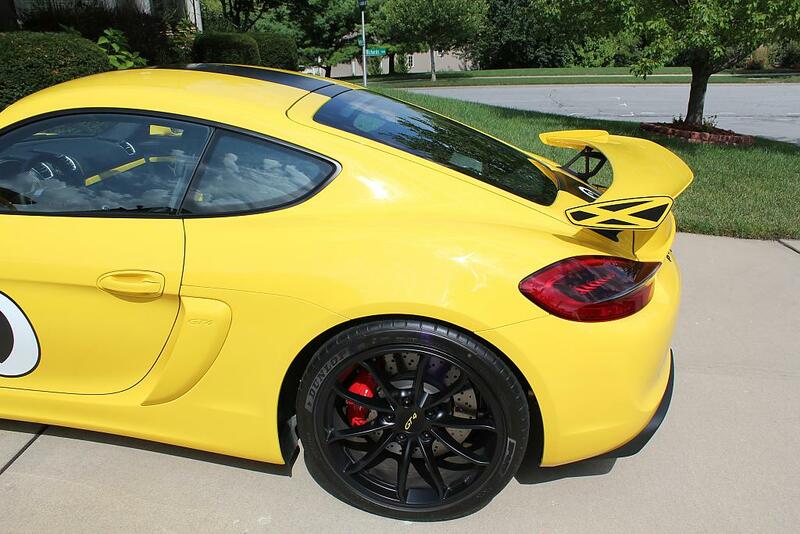 Leaving the product on the car for too long will only make it harder to wipe off any excess and buff out the panel. It is also very important to note that if you are doing the recommended 2 coats that you immediately do the second coat on the same panel. DO NOT do an entire car then try to come back around and do a second coat. Do the first coat, wipe off, then apply the second coat, then wipe off and move on to the next panel. Even though that fender is completely wrapped in XPEL, the Quartz coating improved the shine and the fender felt very smooth to the touch. Admittedly this product is hard to see as it goes on and the black microfiber towels that Rich sent me were useful in helping to spot where I was taking off excess amounts. I then wondered to myself “How much is this stuff really doing? Am I going to see a noticeable effect?” So I grabbed another spray bottle that has just water in it and went to the passenger side of the car and shot 2 sprays on an untreated surface, the next image shows you the large beads and trails of water flowing down the panel after I sprayed it. This was XPEL with no wax or anything of any kind on it, remember I had wiped it down with water/alcohol solution earlier. 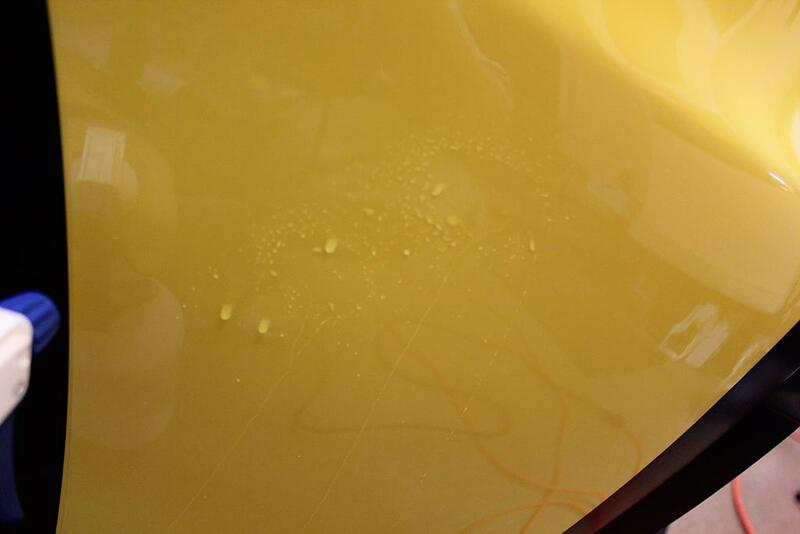 Now I went to the drivers side of the car and performed the same test on a panel that had 2 coats of the EVO 5H Quartz coating and here is the picture of that panel. You will note that the water beads up much smaller and cannot run down the panel but rather skips down the panel in a trail of tiny beads. The claims that the product makes the surface more hydrophobic appear to be true. 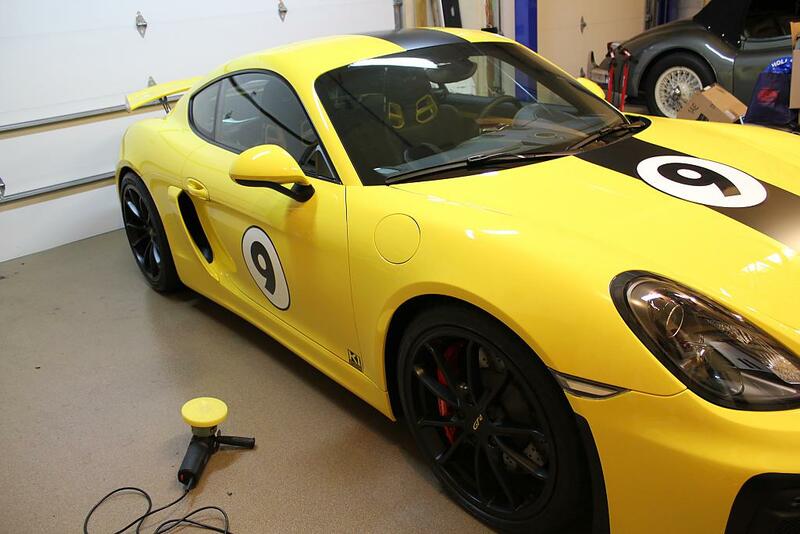 I continued around the rest of the car until I had finished applying 2 coats to the entire car. Sure enough, I still had some solution left in my bottle. I called Rich and mentioned to him I had finished but wanted to ask him about a couple of things. What about glass? what about plastic? 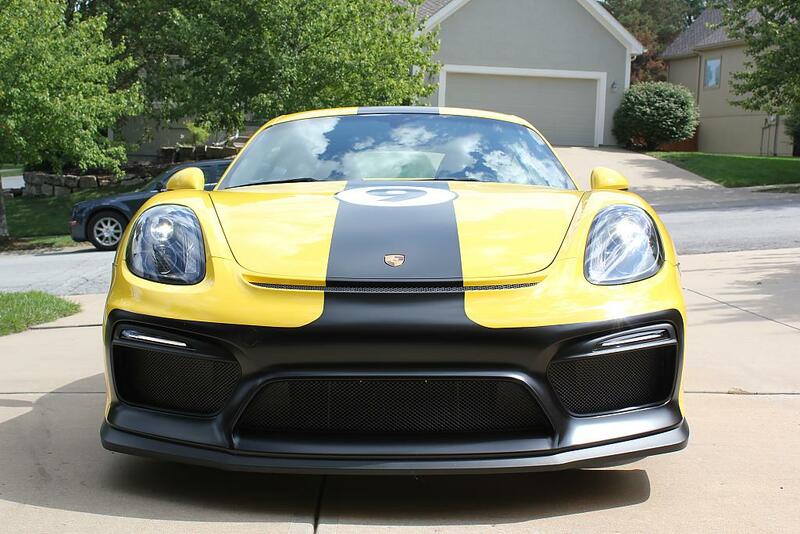 What I noticed with respect to accidentally getting some of the product on black plastic (and outright covering the letters on the back that say PORSCHE GT4) was that it made the plastic look blacker but did not leave any residue on the plastic. I hate waxing a car and getting wax on a black plastic piece only to have it show a white haze of wax that you have to then work to scrub off. Rich assured me the product was fine on both. I noticed that when I wiped the product off the glass the glass seemed smoother. Rich told me it was ok to go ahead and do my windshield if I had enough of the coating left. He also suggested that I do my wheels. So I wiped down the windshield and did the glass as well and then I spent some time making sure my wheels were nice a clean and wiped them down with the 50/50 solution as well before applying the 5H Quartz coating. I did not use the foam pad behind the suede, I just used my fingers behind the suede so I could work the product all around the spokes and in hard to reach places. 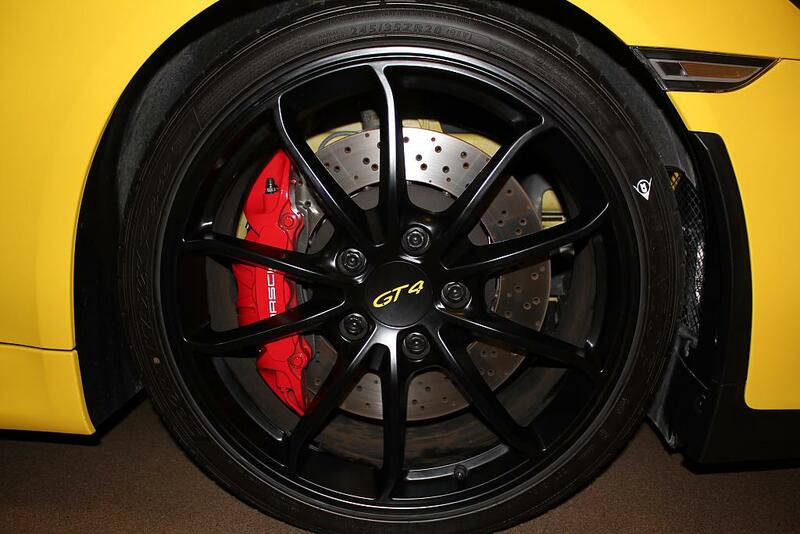 Here is a picture of one of the wheels. I will be comparing to see how well my 2 treated front wheels clean up and repel brake dust over time vs. my rear wheels which I didn’t have enough product left to do. Not only will I monitor the wheels over time but I will, of course, monitor the whole car to see how well it beads up water or repels dirt over time. I will report back as a reply to this article at a later date, and likely in the forum as well. 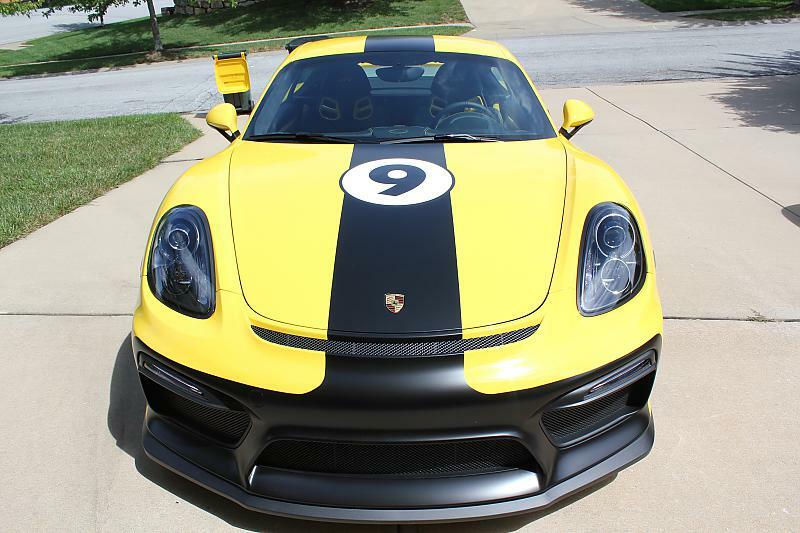 I will leave you with some pictures of the finished car but also want to remind the reader to check out the full gallery of photos that I put a link to above. I hope you enjoyed this article and I’d like to thank Rich from Gloss-It for supplying the kit I needed to get the job done. 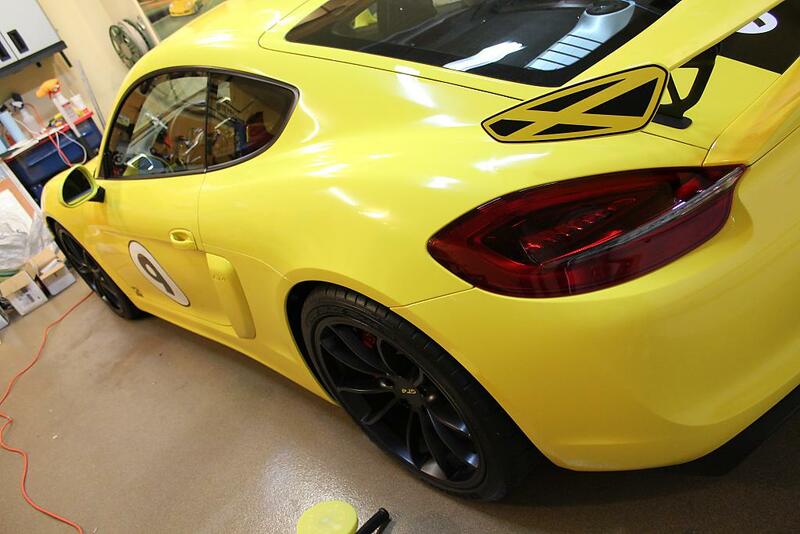 If you want to save some money and get a quartz coating for you car then give Rich at Gloss-It a call. 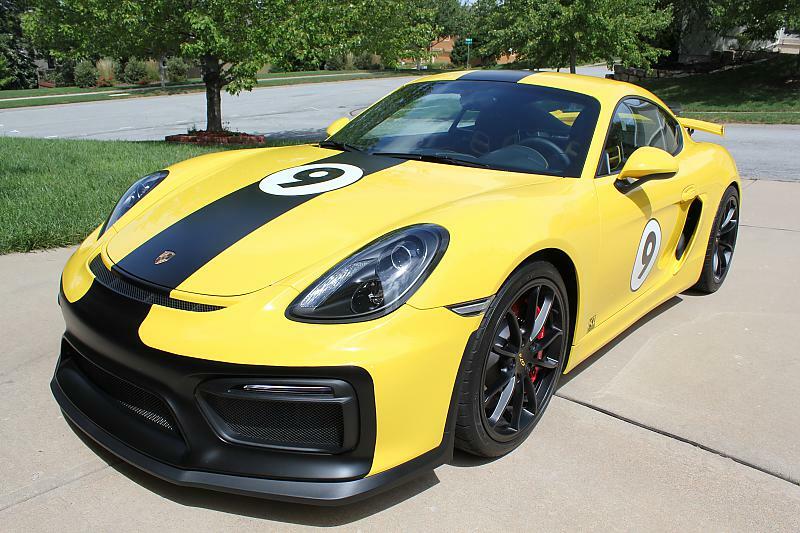 He can even do your car for you, or if you happen to live close to me I might be persuaded to do your car for you as well as of course now I feel like an expert having gone through the whole process with guidance from Rich and his videos.